Landlords insurance is an absolute must for any property investor. For less than a dollar a day, it protects investors against malicious and unreliable tenants, and provides landlords with millions of dollars in liability insurance if a tenant or their guest is injured within the property. Carolyn Majda, Marketing and Operations Manager with Terri Scheer Insurance Brokers, says there are varying levels of cover available, depending on the property type. She says many products provide cover for loss of rent, which can happen if a tenant does a runner in the middle of the night, or if the tenant maliciously damages the property and you lose rental income while it is being repaired. Majda defines malicious damage as “deliberate and wilful damage”, and says that it can cause “significant loss if you have a tenant and they go off the rails”. “Not all policies cover malicious damage and loss of rent, so it’s very important to look at the policy wordings and make sure you’re covered,” Majda warns. There are certain circumstances where landlords insurance would be void, but this comes down to the duty of disclosure, she explains. “As long as the landlord answers all the questions that we ask honestly, there shouldn’t be a problem,” Majda says, warning that a claim “could be declined if you’ve answered dishonestly”. The maximum payout for loss of rent depends on what has caused the loss of rent to begin with, but Majda says claims typically range from a few weeks to a full 52 weeks rent. She adds that the annual premium is often around or less than the cost of one week’s rent, so it’s a relatively inexpensive investment to receive protection and coverage. And, of course, it’s tax deductible. Without landlords insurance: Your tenant complains that a few kitchen tiles have broken, and you organise a repairman to fix it later that week. In the meantime, the tenant trips on a broken tile and sustains a broken rib and other serious injuries. They sue you for negligence, loss of income and damages; you’re out of pocket $200,000. 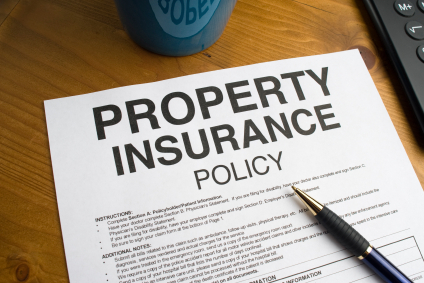 With landlords insurance: Landlord policies generally come with legal liability coverage of between $10m-$20m. Building and contents insurance provides landlord’s with protection against natural disasters such as tsunami, fire, floods, storms and earthquakes. Policies generally provide coverage to rebuild the property and also to replace fixtures and fittings such as air-conditioning units, washing machines and freestanding stoves. Lyndell Fraser, Executive General Manager – Direct Personal Insurance with GIO Insurance, says it is important for investors to take our building and contents insurance “for a number of reasons”. “Because they’re relying on their investment property to generate income, investors need to allow for additional factors,” Fraser explains. Landlords should shop around and seek the most suitable type and level of protection for their property, Fraser says, warning that investors should check the fine print to ensure the coverage is adequate. “Say you’ve got a property and it is substantially damaged in storm event. If you had it insured for $300,000, but there’s a spike in building costs, there’s a risk you could have less cover than you’ll need to rebuild,” she explains. Fraser says that many owners of rental apartments and townhouses fail to realise that they need to arrange individual contents insurance, on top of the building insurance that is organised through the owners corporation. Fraser also warns that strata coverage may only cover the original condition of the building, so if you have renovated and you don’t have additional insurance, “you would run the risk of being short”. “That’s why we’ve got things like the safety cover, so if a property is underinsured, then we’ll make sure the landlord is protected,” Fraser says. A major storm hits and your property is severely damaged. Parts of the roof are ripped off, windows are smashed, the front door is broken and the garden is a total mess. Your tenants can’t live in the property until it is repaired, meaning your rental income ceases. You will be out of pocket tens of thousands of dollars – potentially even hundreds of thousands of dollars – to cover the repairs. “The real concern that people without insurance put at risk is retaining the property,” Fraser warns. “If they can’t get rental income and they haven’t got the cash flow to rebuild the property and service the mortgage, they are putting their assets at risk.” If the debt burden is too high to manage, this could even lead to bankruptcy. All repairs and reconstruction will be covered, along with a payout for rental income lost throughout the rebuilding period. “The amount that you spend to get good coverage is modest, and the premiums are tax deductible – so there is very little incentive to not get coverage,” Fraser says. Life insurance provides insured persons, or their estate, with a pre-determined lump sum payout in the event of death or major personal injury. This is important for investors, as it ensures that their financial obligations – including mortgage repayments on investment properties – continue to be met without placing a major financial burden on their family members. Note that coverage may be voided where the condition is a result of a self-inflicted injury. Jonathan Poole, CEO of Allianz Australia Life Insurance, says that over half of the adult population doesn’t have adequate life insurance coverage, leaving their loved ones exposed to massive amounts of debt. “We know six in 10 people with dependent children simply do not have enough life insurance to look after their families if something happened to them,” Poole says. The primary reason for this, he believes, is because life insurance policies are perceived as being “expensive and too complex”. Poole says the process is evolving, however, with several products now available that can be arranged by simply filling out a form online. Also in many cases, life insurance coverage can be arranged through your superannuation fund at no additional cost to you; for further information, speak with you fund provider, financial adviser or accountant. You pass away. All of your assets and liabilities, including your investment properties, are transferred as per your will. Without life insurance: In many instances, family members are burdened by the additional financial responsibilities and are forced to sell the properties to pay down outstanding debts. With life insurance: Life insurance payouts range from $50,000-$500,000 for personal injury and income protection claims, while in the event of the insured person’s death, the payout is between $100,000 and $1.25m, depending on the policy. Title insurance provides protection to investors against loss incurred due to title and property-related defects, which are generally pre-existing and unknown to the property-buyer at the time of purchase. Premiums are payable only once, at the time of purchase, after which time the purchaser is indemnified forever against losses. Policy premiums vary between each state and insurance provider, however, the one-off fee is generally less than $500 for properties valued at $500,000 or less. Coverage is usually offered with a liability limit equal to 200% of the purchase price of the property – meaning, if you pay $300,000 for your investment property, your insurer will provide coverage of up to $600,000. Standard premiums also offer coverage for the period between settlement and actual registration of documents, to guard against a third party interest registered on title after settlement but before registration of the insured’s interest. You purchase an investment property and obtain a Building Certificate, which reveals that the verandah had been converted into an extra living area without Council approval. Upon enquiring with the Council, you are informed that there is currently an order to remediate the works. You are forced to demolish the living space and reinstall the balcony at a cost to you of $20,000. You also lose eight weeks worth of rental income while reverse renovations are being completed. Non-approved structures or renovations which have been built by any previous owner of the property without the required Council permits, or which do not comply with those permits, are completely covered within a standard title insurance policy. Landlord insurance key clauses: Are you covered?